The Atron series of Decorative Wall Plates offers a wide variety of colours, styles, shapes, and finishes to suit any home dicor. Long lasting, easy to mount and maintain, and an inexpensive way to add fashion. The perfect plate is available for every taste. This Traditional Estate style Chrome & White Toggle style Switch Plate is a great way to enhance your decor. The Atron series of Decorative Wall plates offers a wide variety of colours, styles, shapes, and finishes to suit any home dicor. Long lasting, easy to mount and maintain, and an inexpensive way to add fashion. The perfect plate is available for every taste. Stylish, attractive Astoria design, best used when remodelling or upgrading with this Etched Steel on Chrome finish. The Atron series of Decorative Wall Plates offers a wide variety of colours, styles, shapes, and finishes to suit any home dicor. Long lasting, easy to mount and maintain, and an inexpensive way to add fashion. The perfect plate is available for every taste. 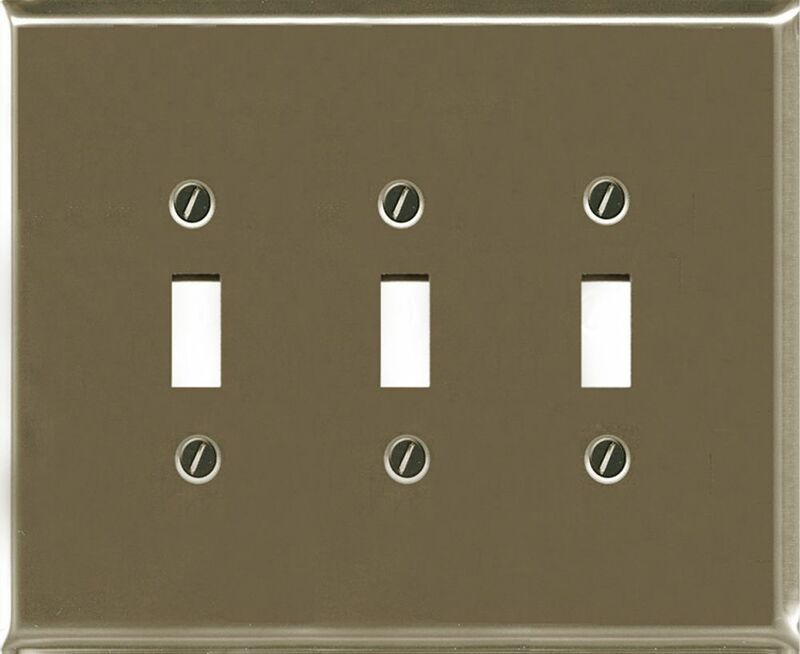 Stylish for enhancing your home dicor, finishing touches to match your Satin Nickel fixtures and accessories with this Satin Nickel Double Toggle style Switch Plate. The Atron series of Decorative Wall Plates offers a wide variety of colours, styles, shapes, and finishes to suit any home dicor. Long lasting, easy to mount and maintain, and an inexpensive way to add fashion. The perfect plate is available for every taste. White plastic oversize coverage for Double Toggle style Switch Plate.